Docx file format is always a pain to work with if you do not have MS Office 2007 or above. We have already seen cool 5 ways to open and work with docx files online / offline. 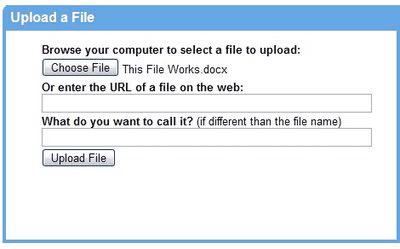 Now you can upload and edit docx files online using Google Docs. Google Docs has added supports for docx and xlsx file formats. To get started, click on upload button in your docs list menu, select docx / xlsx file from the computer (or enter direct URL). Click the upload button and Google Docs will upload and convert file that can be easily edited online within Google Docs editor. No more worrying about file formats while working with Google Docs.